Good morning! Are you like me at times...needing to get a couple of "QUICK AND EASY" cardS!!! Well that is how I am at times....so today I will share with you how "QUICK" you can create some. 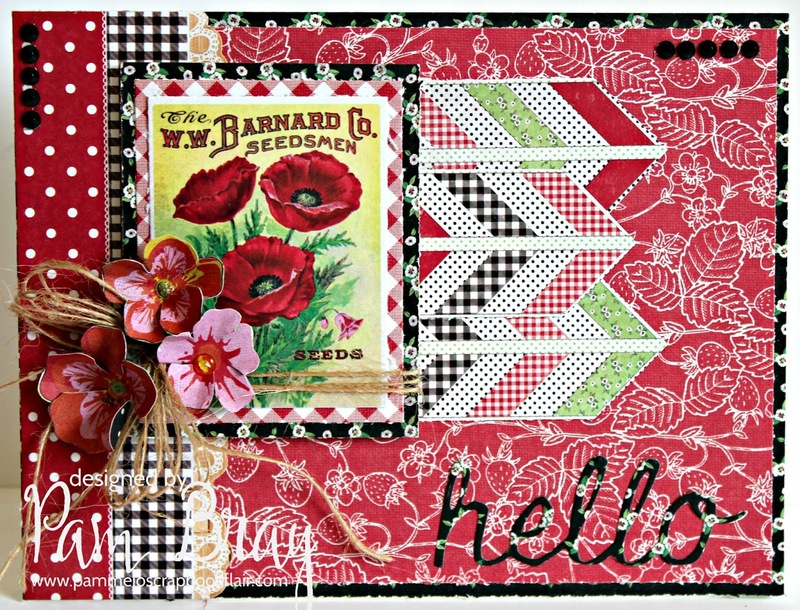 Fussy cut a few of the banner strips and add to card fronts. Layer Epherema Card to mats; wrap twine and add to front of card with pop dots. Fussy cut and form flowers; add to front of card along with twine bow. Add Glossy Accent to center of flowers. Die cut "Hello" from pattern paper. Add to front of card. Repeat steps from the first card for your second. Wrap the twine around the entire card front along with just one of the fussy cut banners. Punch one of the Epherema Cards with a circle punch; layer together on pattern paper circles. Add to front of card with pop dots and twine bow. Die cut "Thanks" for second card; add to front of card. Add gemstones to both cards.